In a small bowl, mix soy sauce, mandarin juice, brown sugar, sesame oil, vegetable oil and vinegar, to make a dressing. 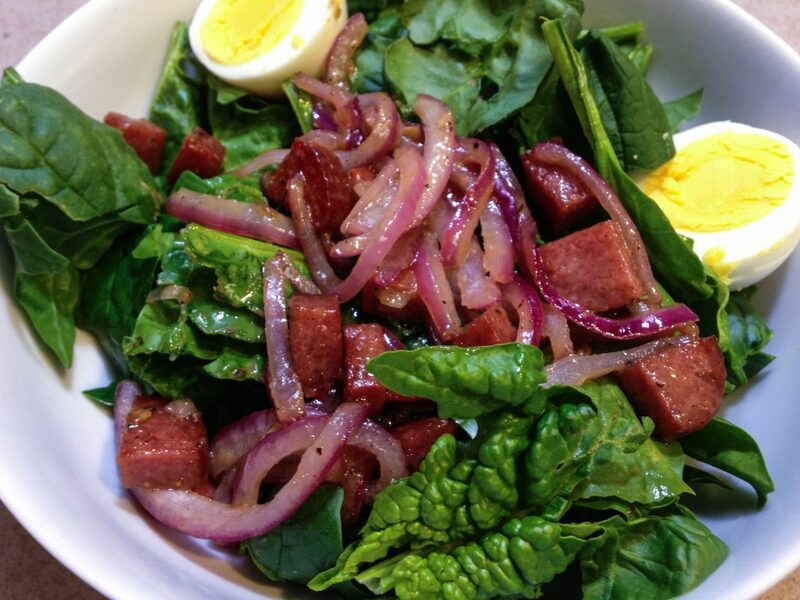 Place this in the fridge to cool and meanwhile work on the actual salad. In a large bowl, add in lettuce, boiled chicken (shredded), chopped carrots, almonds/peanuts and fried noodles. 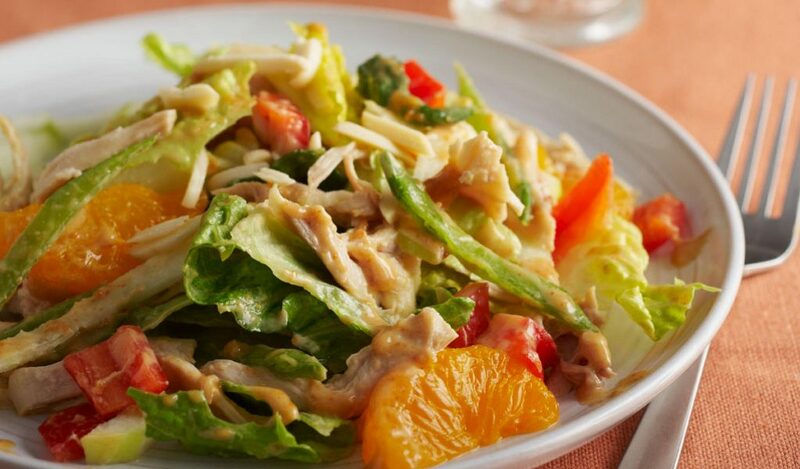 Mix well, drizzle some of the dressing and finish off the salad with some mandarin segments to add some extra freshness to the salad. Chop up some salami, cook it with 1 tbsp oil in a skillet on a medium heat for 2-3 minutes and then remove it on a paper-towel. In the same skillet, add vinegar, mustard, honey, oil, salt and pepper, and whisk to combine it. Add in the sliced onion and keep stirring till they turn pink, then add in the salami as well. 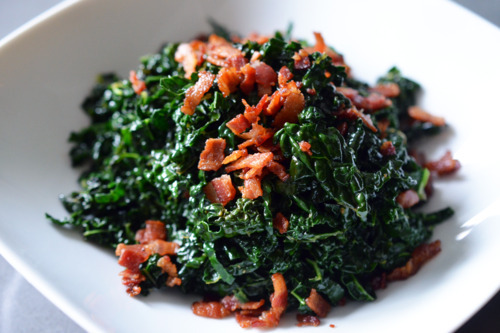 In a bowl of spinach leaves, pour in the contents of the skillet and mix well. 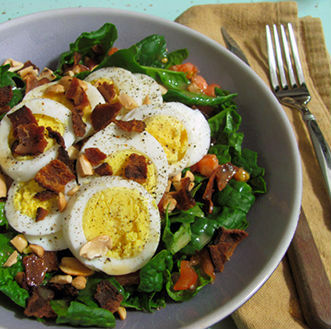 Serve with boiled eggs. 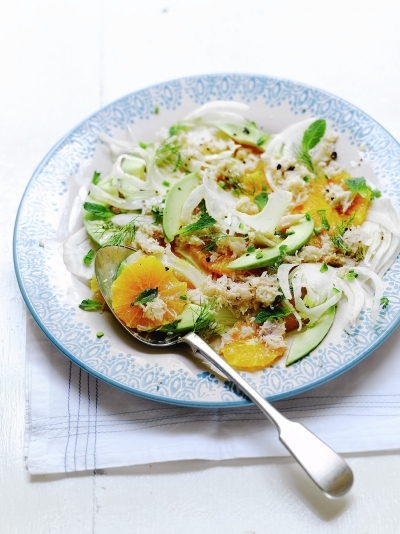 In a bowl, mix orange segments, fennel, chopped red chilli, pre-cooked crab meat, mint leaves and avocado flesh. Drizzle with orange juice and olive oil. 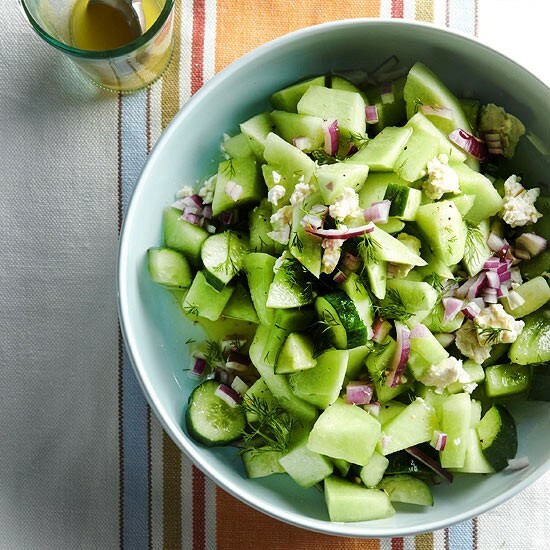 In a large bowl, mix in red onion slices, black olives, chopped cucumber, dill and crumbled goat cheese. 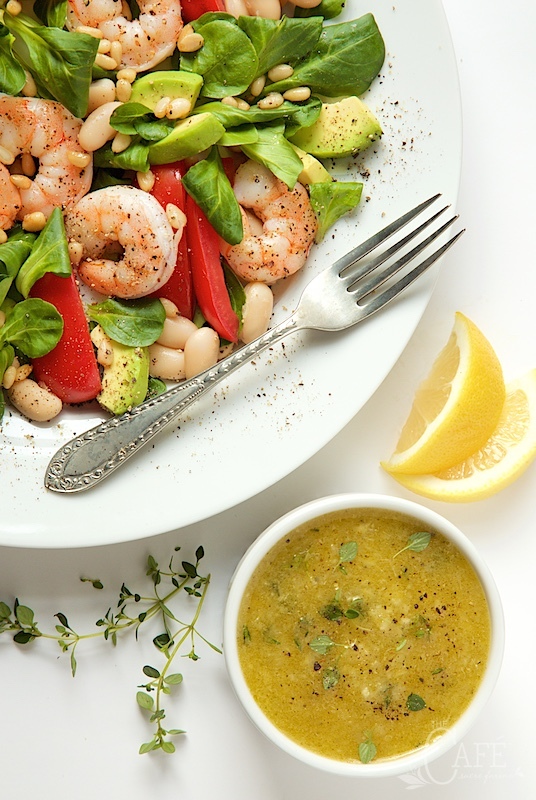 Dress with salt, lemon juice and extra virgin olive oil. For the dressing, whisk 2 tbsp of watermelon juice with extra virgin olive oil, sherry wine vinegar and a pinch of cayenne pepper. 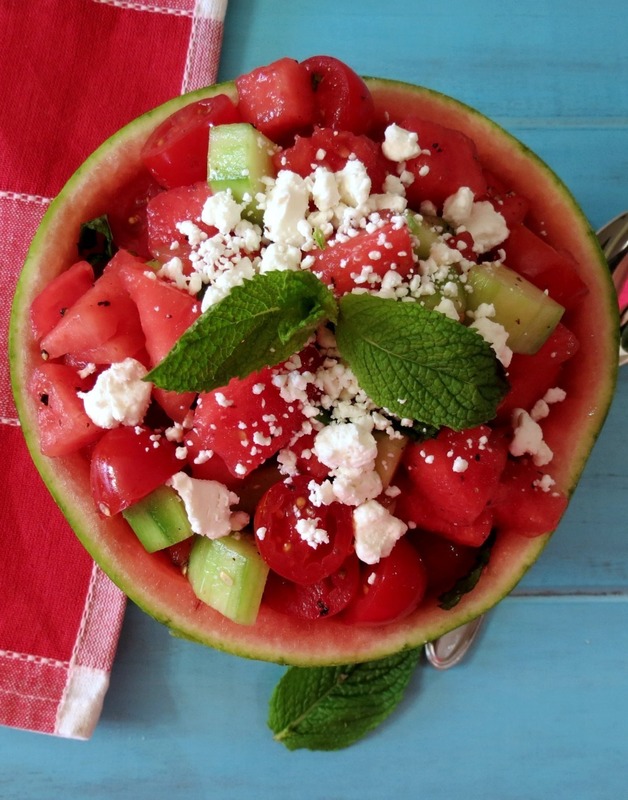 Combine this with a bowl of watermelon cubes, cherry tomatoes and Gorgonzola cheese. Use cilantro as garnish. Boil eggs in salted water for 5-6 minutes, cool them and then peel off the shell. Make a salad cream by combining crushed garlic, Dijon mustard, cider vinegar, rapeseed oil and buttermilk. In a bowl, place chopped parsley, chives and along with the spinach and the eggs cut into half. Top it with crispy bacon bits and serve with the salad cream. In a skillet, cook bacon strips for 6-8 minutes on a medium heat. 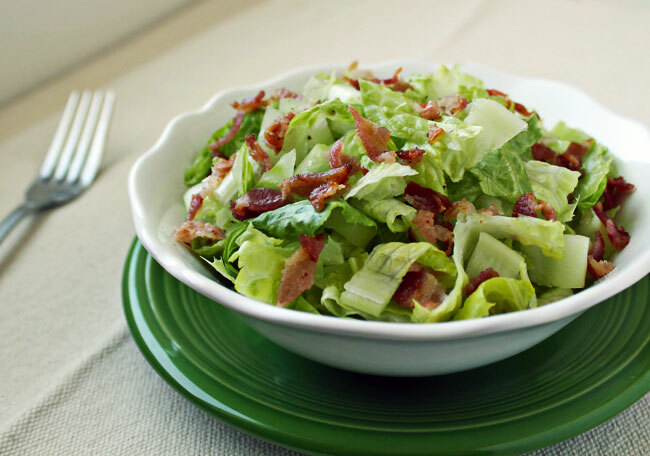 Toss it in a bowl along with lettuce, cherry tomatoes, sliced scallions and a creamy Parmesan dressing to make it all the more tasty. Cook chicken strips in a grill pan on a medium meat and for 6-7 minutes. Combine chopped tomatoes, salad greens, oil and vinegar dressing, goat cheese and black olives. 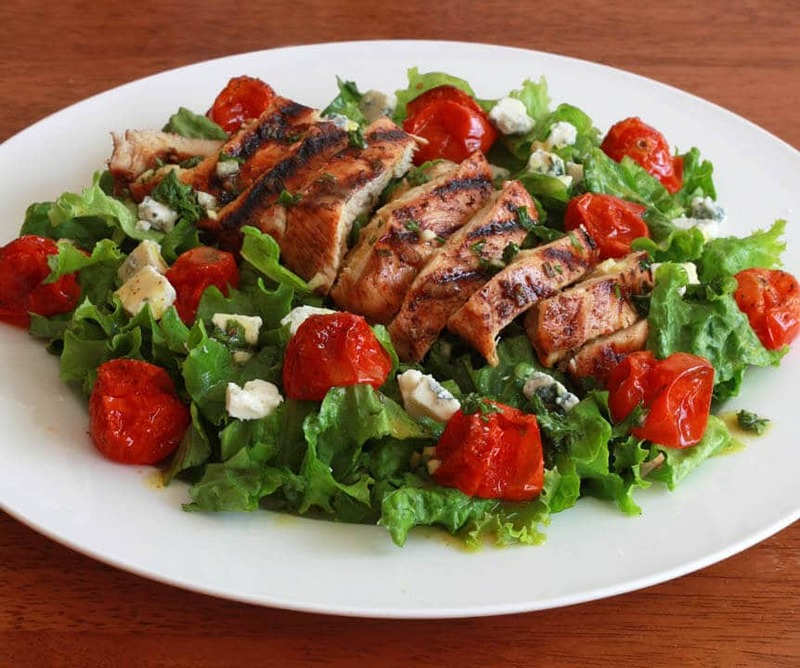 Brush the chicken pieces lighting with the dressing and then mix it in with the salad. Place the couscous in a pot and pour in water just in to cover the couscous. Cover the pot and let it boil on a medium heat for 10-12 minutes. Meanwhile, peel and squash into large chunks, finely chop chilli and place it on a grill along with cumin seed, thyme and drizzle of oil. Cook until each side is lightly golden. 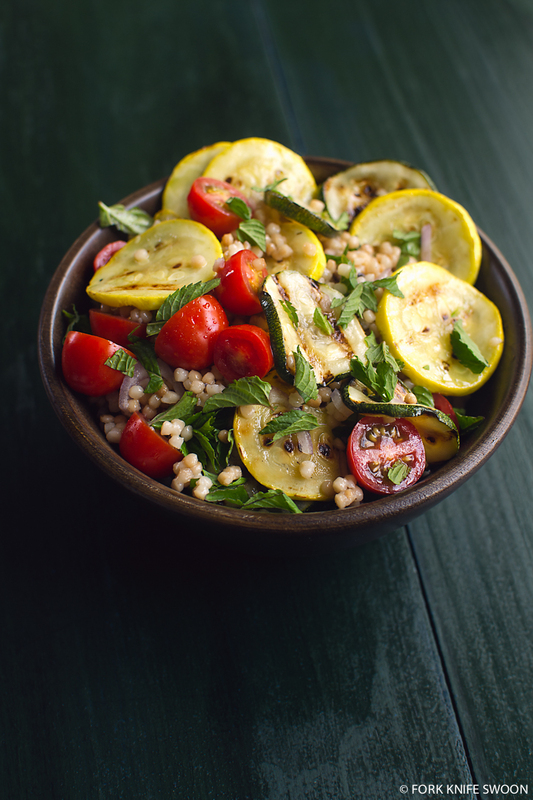 Uncover the couscous, fried kale, stir in a squeeze of lemon juice, cherry tomatoes, the squash and 2 tbsp of oil. Garnish with roasted pumpkin seeds. Make a dressing by whisking together extra virgin olive oil, fresh orange juice, white wine vinegar, salt and pepper. 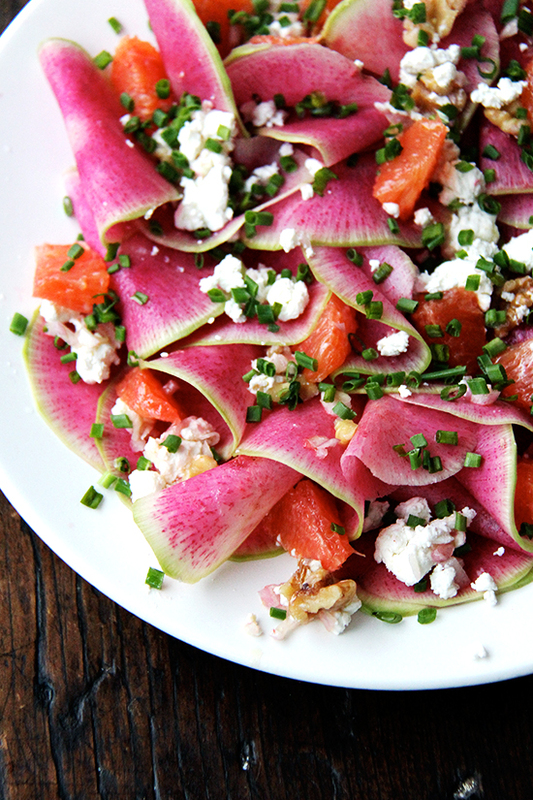 Mix it with a bowl of sliced radish, watermelon cuts, baby greens and goat’s cheese. For the dressing, whisk sherry vinegar, olive oil, thyme, garlic paste, rosemary and black pepper together. Next, add in watercress, avocado, parsley, white beans and cherry tomatoes. Coat the shrimp in a mixture of honey and water (half and half). Place it in a pan on a medium heat and cook for 2-3 minutes. 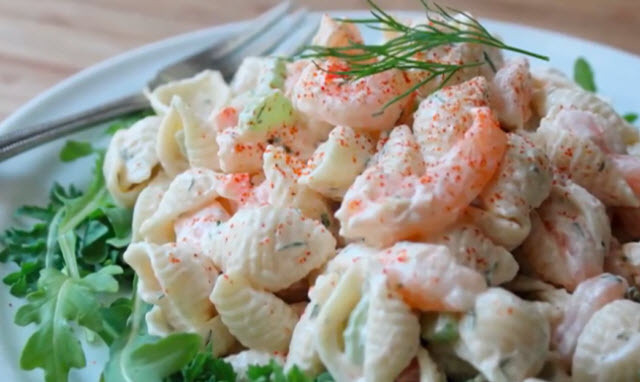 Serve these shrimps with the tossed salad. Cook the macaroni in boiling water until al dente. Drain off the excess water and let the pasta cool. In a bowl, mix scallions, cooked and cooled prawns, low – fat yoghurt, low – fat mayonnaise, salt, pepper and freshly chopped garlic. Add in the macaroni and serve the salad on a bed of fresh celery leaves. Cook the bean in boiling water for 5-6 minutes. Drain, cool it and remove the outer skin. 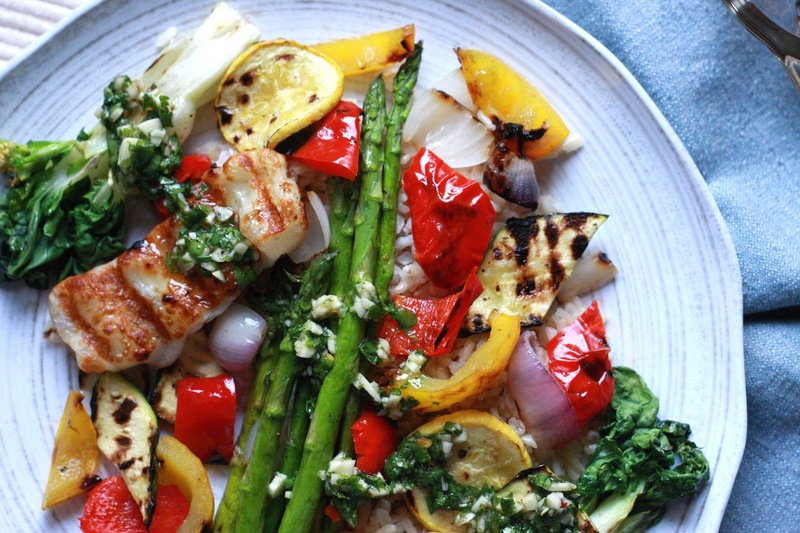 Place Halloumi cheese slices and asparagus on a grill pan. Drizzle some olive oil and cook until nicely charred (not burnt). In a mixing bowl, add onion slices, cherry tomatoes, asparagus, Halloumi and beans. Garnish with garden herbs. 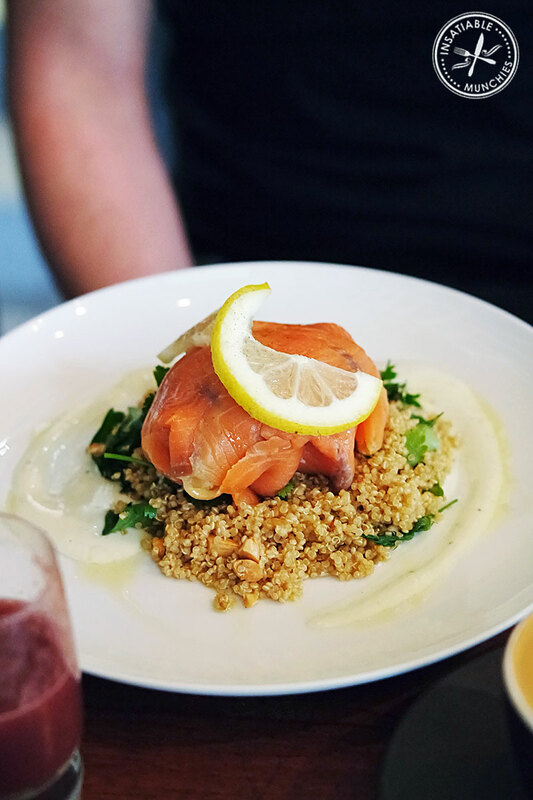 On a large serving platter, lay down the iceberg leaves and layer it with a cooked quinoa. Break the pre-cooked and packaged salmon into small pieces and place it on the plate along with boiled and sliced beets. Drizzle in some dressing (olive oil, lemon juice, horseradish and whole grain mustard) and add croutons for some extra crunch. Cook bacon on a medium heat or until crisp. Add onions and kale. Sauté for 2-3 minutes till the kale wilts. Add some chicken stock, cover and cook for 4-5 minutes. Serve in a bowl with a drizzle of sherry vinegar and maple syrup.